Eventually, however, the actress began taking more and more pills. ‘It stopped being “I take one when I fly,” to “I take one when I’m awake.”‘ Medical professionals, she explained, were more than willing to prescribe the drug. ‘I didn’t have any trouble getting a doctor to tell me, “No, you have serious anxiety issues, you should be taking this. This is how you should be existing,”‘ she said. What no one ever talks about “part 2” of the benzo nightmare where after blaming the victim for “abusing” them they get the next chemical nightmare, getting put on the “non addictive” SSRIs and mood remover pills. I firmly believe SSRIs are equally as dangerous as benzos. There seems to be *slightly* more awareness that benzos are addictive, and in some ways they are talked about like any other drug for which people go to rehab. For SSRIs, though, they’re still pretty much only talked about as medicine for “chemical imbalances” that a patient needs to heal their intractably broken brain. 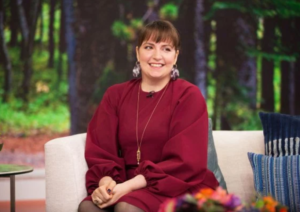 I’m glad Dunham is so forthright about benzos. We rarely have these frank public conversations. health-damaging “medicines” ever again. Also, Klonopin and Ativan are disgusting drugs. They are both valium on steroids. Good luck withdrawing from each.